Grand Opening of Manchester’s new cafe! Home/Around Town With Mayor Palmer/Grand Opening of Manchester’s new cafe! Mayor Ken Palmer was on hand for the grand opening of Manchester’s newest café on Sunday morning, March 24th. 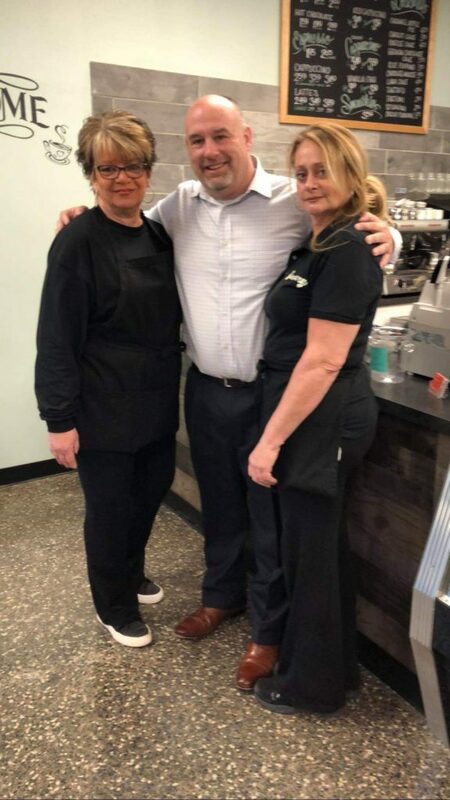 Pictured at TERRY’S CAFÉ & MARKET were (L to R) Terry McEvoy Kriel, Mayor Palmer, and Rosemary Patetta. The café is located in Colbye Commons on Route 70 (near the intersection of Route 571) and serves breakfast and lunch daily. Welcome to Manchester!